Are Women At Greater Risk of Age-Related Eye Health Problems? It’s crucial to take care of your eyes at any point in life, but more so as you get older. It’s common knowledge that men and women are prone to developing common eye disorders and diseases with advancing age. However, research shows that the latter group may be at higher risk. Let’s look at how age affects your eyes, how to maintain healthy vision for women, and why regularly visiting an ophthalmologist in Fresno (or your local area) is so important. According to a study by Prevent Blindness, AMD or age-related macular degeneration is more common among women than men, as are glaucoma and cataracts. There are also more cases of visual impairment or blindness in American women over the age of 40 than men in the same age group. Fewer than 10% of women in America know that they are at a higher risk of developing vision loss than men. A whopping 86% of them believe the risk of permanent vision loss is equal for both men and women. In addition, 5% of women believe the risk is higher for men than it is for women. Longevity – According to the statistics, women usually have a longer lifespan than men. Many eye diseases, including AMD, glaucoma, cataract and diabetic retinopathy, are related to advancing age. Hormones – Women experience serious hormonal fluctuations more frequently than men, especially during puberty, menstruation, pregnancy and menopause. Hormonal changes have been linked to dry eye and other vision problems. Lifestyle – Eye health is affected by lifestyle choices such as obesity, nutrition, exercise and smoking. While these factors are not limited to women, obesity and poor diets are on the rise among the adult female population. Socio-Economic Factors – Early detection and treatment of eye problems is often key to preventing vision loss, but various social or economic factors affect access to quality eye health care for women. Medication – Women generally take more prescription and non-prescription drugs than men. Many of these can lead to vision changes, e.g. birth control pills and medication for hormone replacement. Eye Tests – Visit an ophthalmologist for regular checkups, especially during pregnancy. Get a full dilated eye exam if you’ve been diagnosed with diabetes and are pregnant or planning a baby. Quit Smoking – Smoking seriously damages your health, and it can double the risk of AMD. It also makes you more prone to developing cataracts, which can only be corrected with eye surgery. Use Protection – Eye protection, that is. Sunglasses with 100% UV protection and wide-brimmed hats can reduce sun damage, but also use protective eyewear while swimming, using tools or playing sports. Cosmetic Safety – Make sure your face, hands and brushes are clean while applying eye makeup, and don’t ever share makeup or use expired products. Also ensure your hands are clean while putting in or removing contact lenses. 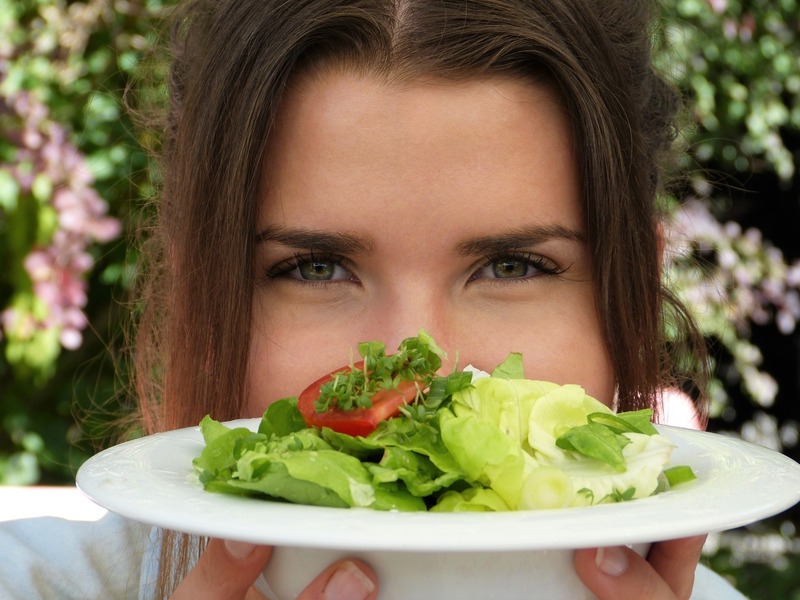 Healthy Food & Exercise – Eat a balanced diet with plenty of antioxidant and Omega-3 rich foods for healthy eyes. Regular exercise will also help you maintain eye health and reduce the risk of diabetes-related vision loss. We want you to enjoy healthy vision all your life, so follow our tips above and make an appointment with InSight Vision Center for a dilated eye exam today! Recent data has confirmed that the complication rate with LASIK eye surgery is less than 1% and rarely do the complications have a significant impact. Also, the risk of eye infections following a LASIK eye surgery is negligible. LASIK eye surgery has come a long way with evolving advances in medical technology and this is why the requirements for LASIK surgery have also become relatively relaxed. However, the procedure is not right for everyone and so, LASIK eye surgery candidates are required to undergo a preoperative eye evaluation to help determine if they are eligible. If you are under 21 years of age, your ophthalmologist may recommend that you wait till your vision stabilizes. If you are in your early 40’s, it is important for you to know that you may still need reading glasses at a later stage in your life. If you are in your 60’s, your eyes need to be assessed for any pre-existing cataracts that can interfere with the outcome of your LASIK eye surgery. If you have cataracts, a corrective surgery might actually work to restore your vision apart from correcting any eye condition that you might have. Potential candidates should not be suffering from any eye diseases including corneal disease, keratoconus, glaucoma, cataracts, optic nerve diseases and certain retinal diseases. Also, LASIK candidates must exhibit good general eye health and should not be suffering from specific eye conditions like herpes zoster or herpes simplex. Candidates for LASIK should not have suffered any eye injuries or infections. A candidate for LASIK must be healthy and free from autoimmune diseases, uncontrolled diabetes, or collagen vascular disease. Also, they should not be undergoing any treatment where they are prescribed any medication that can compromise the immunity of the patient. LASIK eye surgery candidates should not be pregnant or nursing mothers because the hormonal fluctuations occurring during this stage affect the stability of your prescription. This is why lactating mothers or expecting women don’t qualify for a LASIK procedure until they discontinue nursing and complete at least three menstrual cycles. Candidates for LASIK eye surgery must have stable vision for at least a year before they can undergo a minimally invasive LASIK procedure. Ophthalmologists recommend that prior to undergoing a LASIK eye surgery, potential candidates must not wear contacts for a specific timeframe which is typically determined by your ophthalmologist depending on your unique eye condition. This facilitates precise assessment of the patient’s prescription and also ensures corneal stability before the LASIK eye surgery can be performed. If you want to make sure that you qualify as a candidate for LASIK, schedule a consultation with the most trusted ophthalmologist in Fresno – Dr. Eric J Poulsen at InSight Vision Center. Effects of Pregnancy on Vision: Can You Get LASIK When You’re Expecting? Pregnancy is a joyful time, full of expectations and hope, but it can also take a toll on your body. Along with nausea, backaches and mood swings, you may find your vision affected too. LASIK surgery is the most popular choice for vision correction, but you should avoid getting it done during your pregnancy. Let’s look at some of the ways in which being pregnant could affect your eyes and why LASIK vision correction should be conducted either before or after your pregnancy. 1. Dry Eyes – Your eyes might feel dry during pregnancy and while breastfeeding, as a result of hormonal changes. This is temporary, so ask your doctor about lubricating eye drops to help keep your eyes moist and comfortable. 2. Vision Changes – Hormonal surges can cause changes in power during pregnancy, but this is also temporary. Your vision should return to normal within a few weeks after giving birth, but get a checkup to ensure there are no serious issues. 3. Distorted Vision – Fluid retention and high blood pressure during pregnancy can affect your cornea, causing changes in its shape or thickness. Blurred vision or spots in front of your eyes will normally go away after delivery or breastfeeding. 4. Central Serous Choroidopathy – Fluid retention may also cause fluid leaks under the retina of your eye, causing blurry vision or making things seem smaller. This will stop after childbirth, but keep your doctor informed about any symptoms. 5. Migraines – Hormonal changes can cause migraine headaches, which are not only painful but may also make your eyes more photosensitive. Consult your doctor before taking any over-the-counter, alternative or prescription medication. 6. Pregnancy Diabetes – Also known as gestational diabetes, this temporary condition can cause blurred vision if the small blood vessels supplying your retina get damaged. Keep sugar levels under control during and after your pregnancy. 7. Pituitary Adenoma – This is a benign tumor that affects the pituitary gland, causing tunnel vision. The tumor may grow when you’re pregnant since hormone secretions from the pituitary gland are higher during this time. 8. Puffiness – Hormonal surges can cause puffiness in the eyelids and around your eyes, affecting your side vision. Stay well-hydrated, eat healthy, and avoid high-sodium or caffeine to reduce water retention during pregnancy. There are many benefits to LASIK vision correction, and if you’ve been considering the procedure, make sure you time it right. Set up an appointment with your eye care center before you plan to get pregnant, or after delivery. Why Is It Better to Plan LASIK Before or After Your Pregnancy? 1. Medication – You will be given a sedative before the procedure, as well as eye drops to dilate and numb your eyes. Your doctor may also prescribe antibiotic eye drops and painkillers, and you should avoid these medications while you’re pregnant. 2. Radiation – LASIK surgery exposes you to very low radiation levels for a few minutes, when the laser is being used to create incisions in the cornea and reshape it. However, even this minimal radiation exposure may pose a risk to your baby. 3. Refractive Changes – Pregnancy and breastfeeding hormones can cause your prescription or power to change temporarily. If you were to get laser surgery during this time, your prescription may change again when your eyes stabilize. 4. Nursing Hormones – Hormonal changes will take place in your body even when you’re breastfeeding. These can interfere with healing or cause temporary changes to the cornea, so LASIK should not be performed when you’re nursing. How Soon Can You Get LASIK after Your Baby is Born? Ideally, wait 3-6 months after you stop breastfeeding, or one menstrual period from the baby’s birth if you aren’t nursing. This way, you can be sure that your hormones are stable and your eyes have reverted to normal before you plan LASIK surgery. To learn more about the best time to plan a laser corrective procedure, contact Insight Vision Center today! Are You the Victim of Digital Eye Strain? Do you have a crick in your neck, a painful shoulder, or an aching back? Maybe your eyes are dry, your vision is blurry, or you have a tenacious headache that just won’t end? These are all indications of digital eye strain, as stated by 65 percent of Americans, according to a 2015 survey by The Vision Council. Similar to the muscles in your body, your eyes can get tired too. For the work they do, your eyes bear the strongest muscles in your body. But as strong as they are, even they can become tense and fatigued by hunkering in front of a computer, under powerful lights or by spending several hours in front of a TV. Digital eye strain is defined as the distress caused by spending 2 or more hours in front of digital screens. It is correlated with continuous and close to mid-range interactions with digital screens. A combination of factors adds to digital eye strain, including the proximity to the screen, the frequency and duration of usage and the extent of exposure to High-energy Visible (HEV) or blue light emitted by video screens. Naturally, a person would blink approximately 18 times a minute on an average. However, staring at the screen for a notable amount of time typically leads to a decreased amount of blinking. This lessens the production of tears and moisture in the eye. In fact, up to 68 percent of millennials and 63 percent of Gen Xers experience digital eye strain as a consequence of increasing usage of electronic devices. Recent work and lifestyle advances have driven us to spend extended hours in close-range activities with the screens of our smart phones, computers, tablets, and gaming consoles. For some people, visual fatigue can also lead to decreased productivity, falling ability to concentrate apart from deteriorating visual health. Many kids too, are experiencing digital fatigue owing to their prolonged exposure to digital screens. According to The National Eye Institute, nearsightedness has increased by 66 percent since the 1970s. The common symptoms of digital eye strain include weary eyes, back/neck pain, burning sensation and blurriness in the eyes. Migraines are repulsive. For those of you who have never undergone a migraine, you’re one of the lucky some. There’s the pain, of course- pulsating, hammering pain. But then, you get the tag-along signs: nausea and sensitivity to light and sound. Migraine victims swiftly learn on the second or a third migraine that visual indications like wavy lines, flashing dots, and temporary blindness are usually the initial sign of a migraine. Also, not all migraines are alike. Retinal migraines, for example, can occur with or without an accompanying headache, but they can nevertheless be just as unpleasant. There are various ways to overcome digital eye strain. The simplest remedy is to take periodic breaks from gazing at your digital screen. It is advised to take at least four 5-minute ’mini-breaks’ in addition to two 15-minute pauses throughout your work time. These breaks would enable you to relax your eyes and enhance your focus. Other remedies involve adjusting the lighting at your workstation. It should not be overpowering or sharp, and it should not be very low as well. Fixing a blind or excluding exterior light could better your conditions a lot. Minimizing glare from the screen by using an anti-glare screen, setting the screen display to a comfortable level, or using anti-reflective (AR) coating glasses could also allow your eye muscles to relax more. If your symptoms still continue beyond a week, it will be advisable to consult our vision experts at our Insight Vision Center. Our talented team of eye care specialists is ever eager to help you with any of your vision related queries or problems. FRESNO, Calif. — A routine eye surgery just became anything but routine with a state-of-the-art technology now offered in the Valley. The procedure replaces the traditional surgical blade with a precise laser. FRESNO, Calif. — A homeless man whose eye was shot by a paintball gun that left him blind in one eye — is getting free treatment from a Fresno eye doctor. It’s a $30,000 gift this man would otherwise not be able to afford.